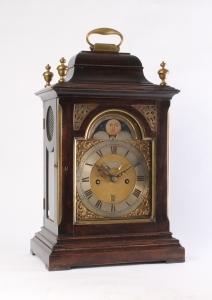 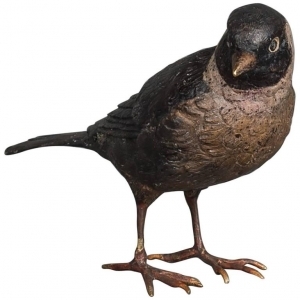 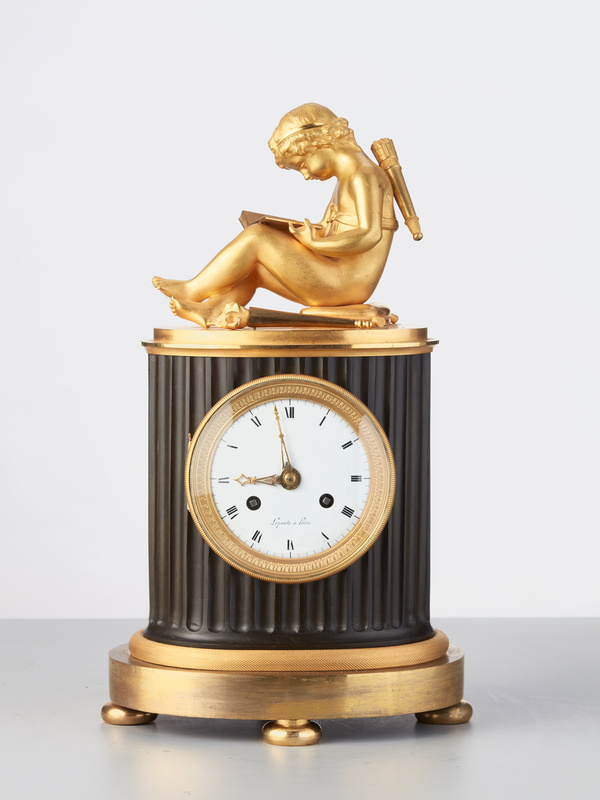 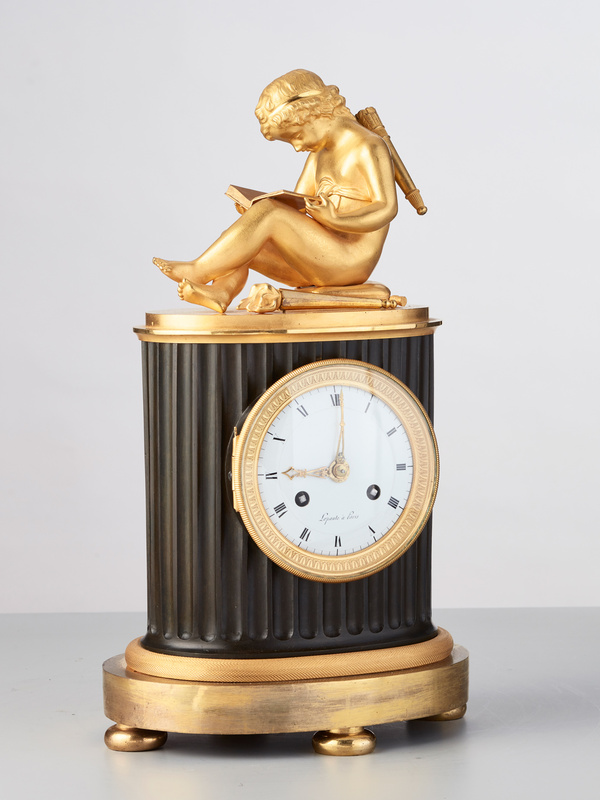 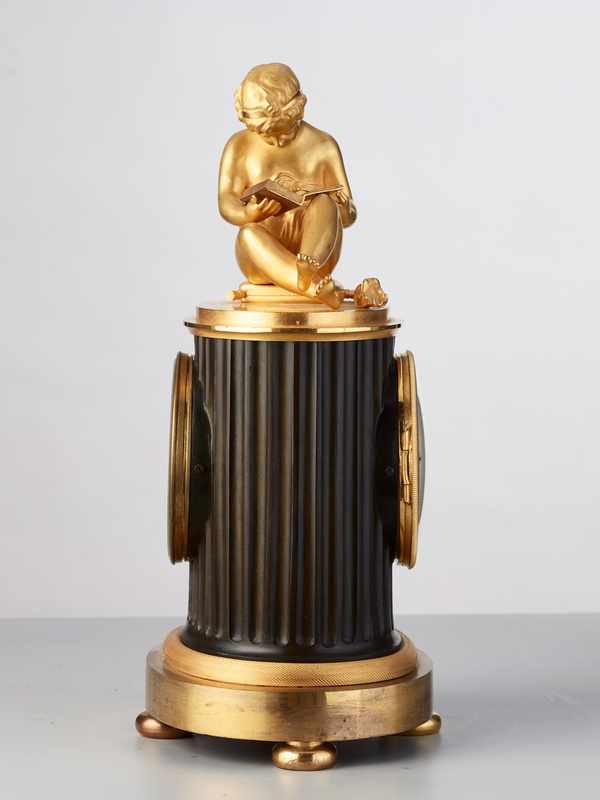 A charming Library Empire mantel clock. 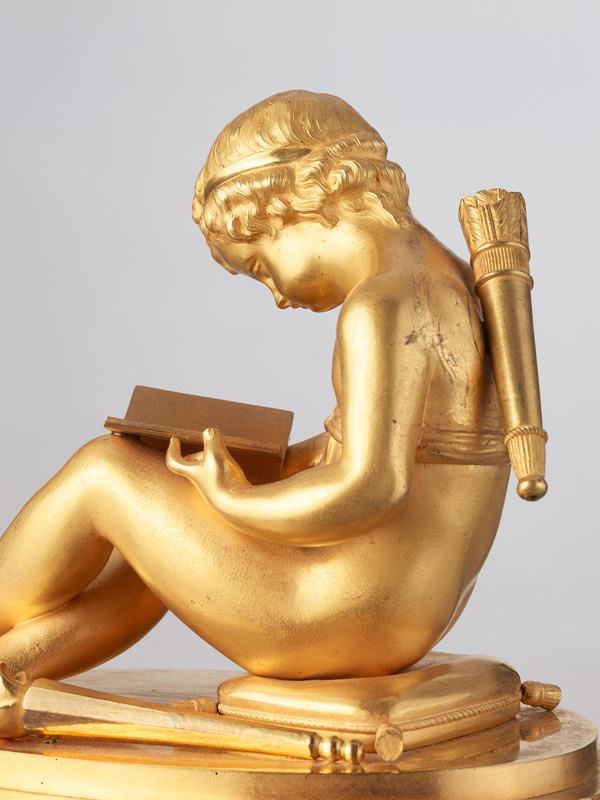 The Cupido reading the book is a very desirable subject. 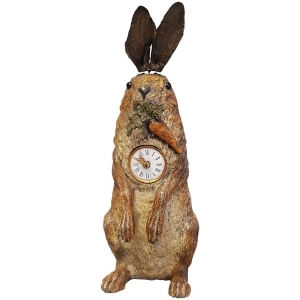 Even now a good decoration in almost every interior . 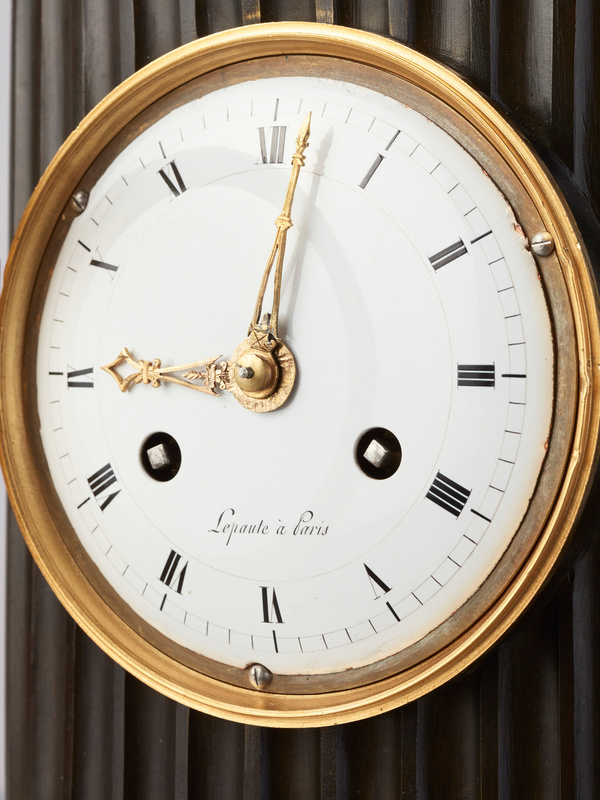 The striking count wheel 8-day movement on bell with silk threat suspension. 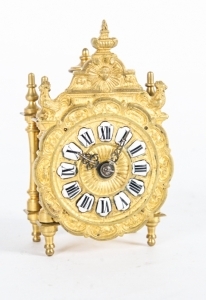 The enamel dial with Roman Nr and lovely nice pirced gilded hands. 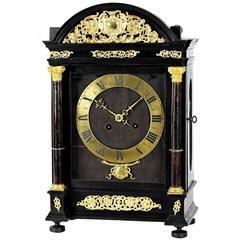 The contrast from the patinated parts in combination with the good fire-gilded bronzes makes the clock a high-light in all interiors. 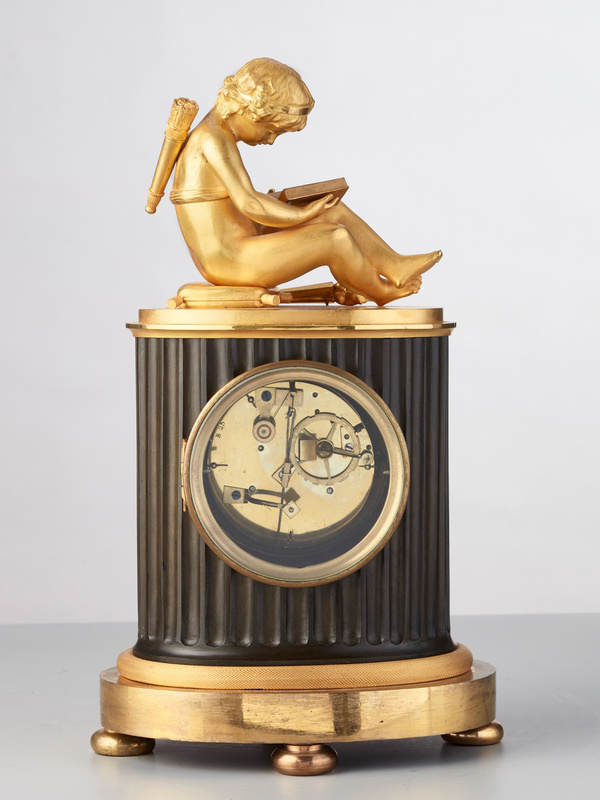 Important French "Religieuse" clock by Isaac Thuret in the manner of the famous "Hague Clocks"